At the north end of the 4WD road near Tin Cup is the cemetery for the town. It is called "The Cemetery of Four Knolls" with each knoll representing a different group, Jewish, Catholic, and Protestant. The fourth and most used in the early days was for those with no religion. 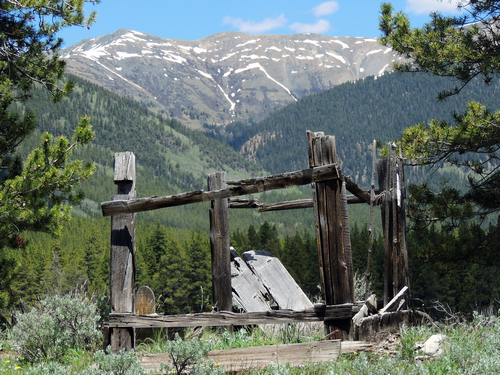 Discovered in the early 1880's the Gold Cup mine was a large operation south of Tin Cup which produced $7,000,000 in gold and silver. It kept producing through the mild recession in the mid 1880's and didn't close down until 1917. The road over Napoleon Pass was used to haul ore down to Pitkin where the railroad ran up and through the Alpine Tunnel and down to St. Elmo then on out to Buena Vista. (From 4X4Explore.com). 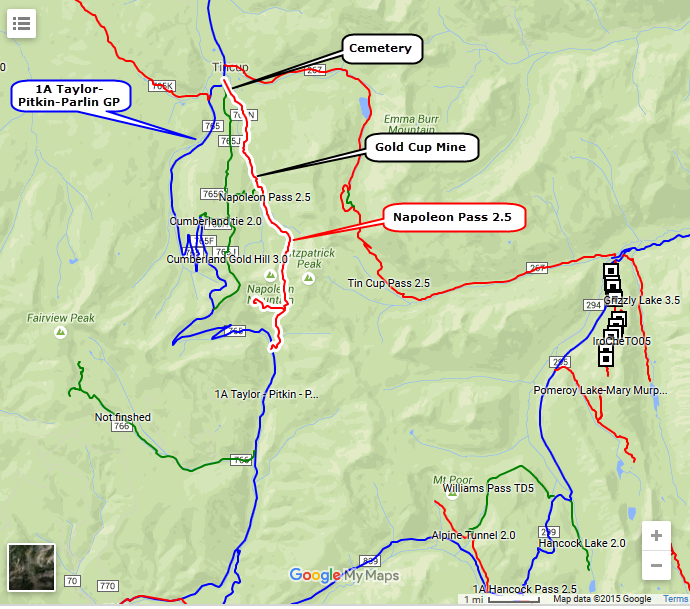 It is now a Jeep trail with a good possibility of mud and water south of the actual pass.